DJI recently took part in the latest edition of the Cine Gear Expo at the historic Paramount Studios backlot in Hollywood, California. The Expo gave us the opportunity to display our products to the 13,000 attendees who came to see the latest in filmmaking technology. 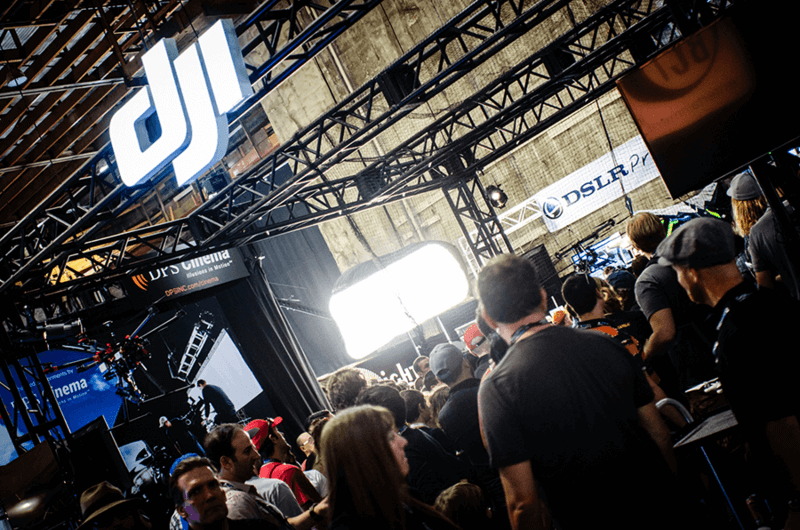 DJI was the only company with clearance to fly indoors, giving us the advantage of being the sole exhibitor from the filmmaking drone industry able to showcase our products in action. As a result of the live demonstrations at our booth, it was exceedingly popular and drew large crowds at all times, with as many as 200 visitors at once during peak hours. The relatively small space made a perfect venue to display the precise flight controls and stable flight performance of DJI drones. On the first day of the event, we ran a Ronin Balancing Contest where the final winner was awarded with a brand new Ronin. For first-time users of the Ronin, the average balancing time was only three minutes, with the winner managing to finish in just two and a half minutes. 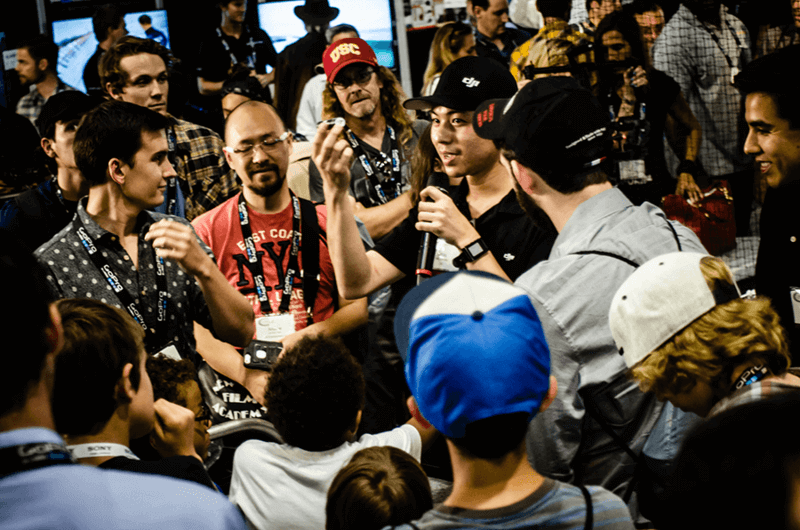 On the second day of the Expo, we ran a Rock Paper Scissors contest which drew a crowd of over 100 people, and turned out a final champion who was awarded a new Phantom 3 Advanced. DJI also won the Cine Gear Technical Award for the best technological product among the exhibitors at the event, and the DJI Phantom was given space on the cover of the official Cine Gear magazine. 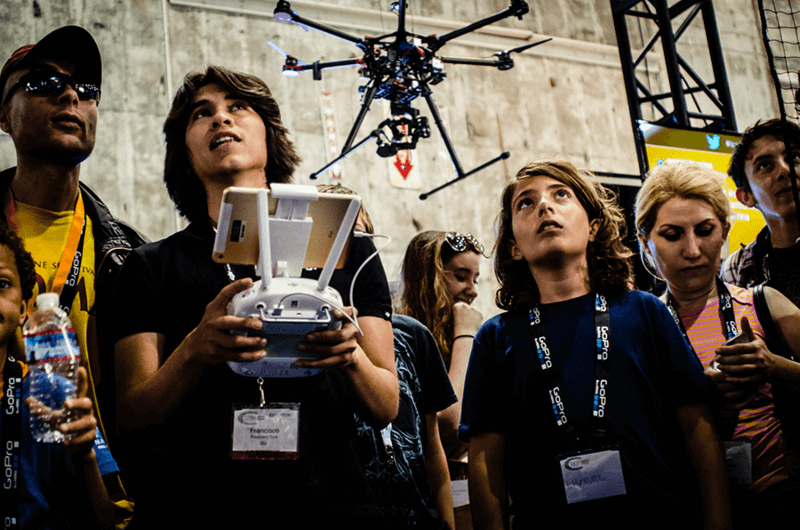 DJI thanks all attendees and the DJI Los Angeles team for their effort and support for this successful event.